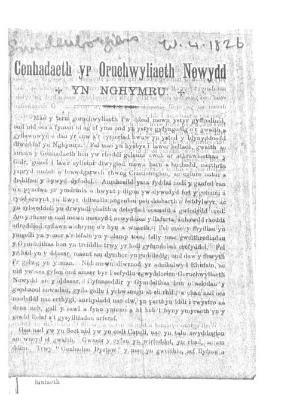 A monthly Welsh language religious periodical circulating in south Wales, mainly in the Swansea Valley. The periodical's main contents were articles explaining and defending the principles and teachings of the Swedenborgian denomination. The periodical was edited by Philip Charles Davies (Philos).